The sub-genre of flight terror films are a tricky subject. You can only do so much with these films without them being predictable, and yet…a lot of them are still pretty memorable. Without looking, I can list a good number of flight terror films off the top of my head that I’ve either absolutely loved, or at least thought were memorable. Sure, I’ve seen some doozies as well, but what movie genre doesn’t run that risk as well? When I heard about Non-Stop, it was all I could do not to think, okay this is Taken on a plane. That’s an unfounded claim though, because nothing was really taken, but instead, demanded. 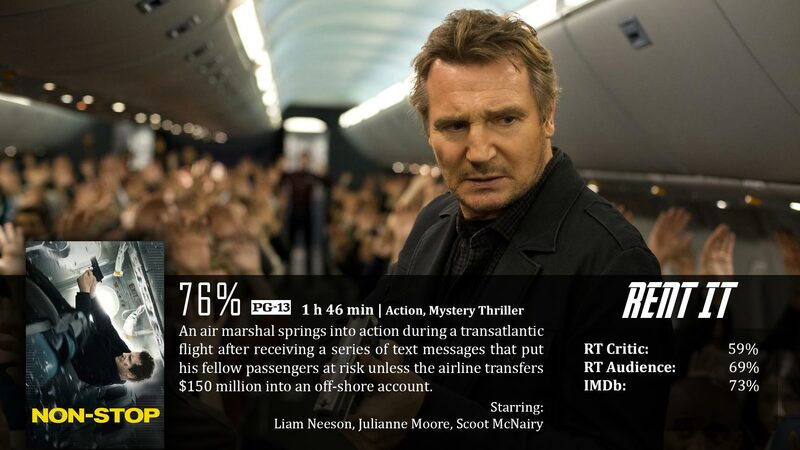 Non-Stop stars Liam Neeson as a flight martial on a flight bound for London. The guy is a depressed alcoholic that has recently suffered some sort of tragedy and hates his job. Not a great start for the guy, because once the plane takes off, he receives a message on a secure line letting him know that a terrorist is on the plane threatening to kill someone every twenty minutes if he doesn’t wire them $150 million dollars. The only problem is…he’s being set up as the fall guy and his history comes alive, supporting that claim. While watching this movie, I couldn’t help but notice that yes, parts of this film feel very similar to what I’ve seen before in terms of flight terror. So it does feel a little aged and diluted. At the same time though, there is still an element that feels fresh. The mysterious messages on the encrypted line, the mysterious deaths, all that. Basically, it still has a very good element of mystery intact that will no doubt keep you guessing. That alone will hold your interest long enough not to get bored, it also overturns any sort of predictability this film could have ultimately suffered. I can’t express how important that alone was for this film. Obviously the mystery was this film’s strongest element. I’d say the second strongest element was probably Liam Neeson’s role in the film. We all know the man has the chops for acting. Now, some of his acting in this film feels a little cheated and melodramatic, but in all fairness, I think that has more to do with editing and direction than anything else. When it comes to Julianne Moore, I like that she’s there, but to be honest, that’s practically her whole role…to be there. She has some importance, but don’t count on that being highly significant. The rest of this film, while not absolutly horrible, does suffer the elements of stuff we’ve already seen and it’s basically just…mediocre bits. I’m talking about the writing. When you get right down to it, the whole terror on the plane thing feels like it’s passed it’s expiration date. The mystery keeps things new, and there’s some things I wouldn’t normally expect, but when it comes right downt to the nitty gritty side of things – what you have here is something that’s pretty typical. The rest of the cast is very forgettable; the action is okay, I just feel like we needed more to keep things equally balanced; and the ending as a whole is nothing out of the ordinary. If you’re looking for a plane pun, the movie is touch-and-go. I know it’s silly, but I just like Liam Neeson, especially in an action role, so already that’s fun to watch. Other than that, Non-Stop does a really good job at keeping the mystery alive and introducing concepts you wouldn’t naturally think about. When you get to the core of the film, it’s a very typical flight terror sub-genre film. 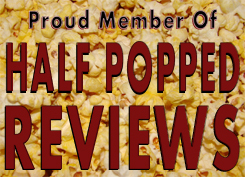 The rest of the cast is forgettable, the action could have been better, and the ending is nothing out of the ordinary. A lot of this film…you’ve already seen a thousand times before, it’s just masked with the flavor of Liam Neeson action and a bit of mystery. It’s incredibly dumb, but I had fun with it. Which seems to be the case with most of Neeson’s movies as of late. Good review Dave.